Great news for Nikon users and those who want to switch to Nikon. Nikon just announced 2 new cameras and had updates to 2 lenses. The first one — Nikon D300s. Priced at around $1,799, it’s a 12.3 megapixel camera in DX format (meaning not full-frame) that comes with video (720p), a dual SD and CF card slot, and can shoot up to 7 fps. The second camera is the Nikon D3000. This is more of an entry level DSLR, 10 megapixes, and is a replacement of D40. Expected street price is around $599. 1. AF-S Nikkor 70-200 f/2.8G ED VRII:It promises to have 4 stops of hand-held shooting because of the new VR II stabilization. It’s priced at around $2,399 and is available in November 2009. 2. AF-S Nikkor 18-200 f/3.5-5.6G ED VR II: An upgrade to the minimalist travel lens, the main updates include the new VR Ii stabilization and the addition of the zoom lock. Target release is September 2009 and is priced at $849. Yesterday, Canon announced its new camera, the 15 mega-pixel Canon 50D with a better sensor, an improved LCD and some other new features. What does this mean? Simple – it can allow you to take photos at high ISO without giving you a lot of noise. Other new features include a better rear LCD and of course, it’s faster compared to its predecessor – the Canon 40D. But wait, that’s not the BIG NEWS — today, Nikon just took it a step ABOVE and BEYOND Canon – they announced the new Nikon D90 with 720p Video! You read it right, High-Def Video! It’s the first ever SLR with video capabilities. If you ask me, it’s about time they did this and thank you to Nikon for being the first one to do this. I wonder what Canon has to say about this. I’m sure they’ll come up with something next time, but I doubt that it will be in their upcoming Canon 6D (or whatever they call their upgrade to the 5D). I’m sure they have something up their sleeves. Also, Nikon announced the 18-105mm f3.5-5.6 lens. Prices for the Nikon D90 are $999 (body only) and $1300 for both the body and the new lens. I have been considering switching over to the dark side and this might just be the reason to do so! Aaargh! Now I have to look for a buyer for all my Canon gear! Nikon just announced a new camera – the Nikon D700. 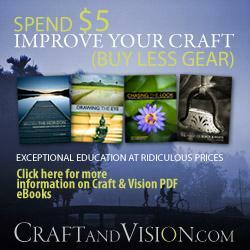 It’s Nikon’s match to Canon’s 5D camera. It’s basically the D300 with the full-frame sensor, or, you could also say that it’s a lighter version of the D3. 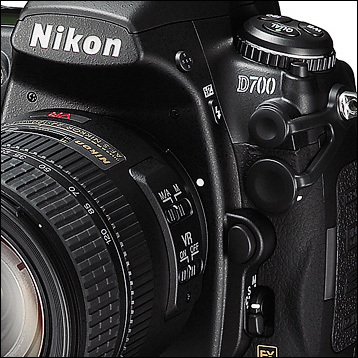 For the exact specs, check out Rob Galbraith’s post on the D700. Also, Nikon introduced the new SB-900 along with the new 45mm and 85mm perspective control lenses. You may as download Nikon’s 24-page Brochure (PDF) on the D700.